Get clear and dynamic sound while adding a touch of elegance to your decor. 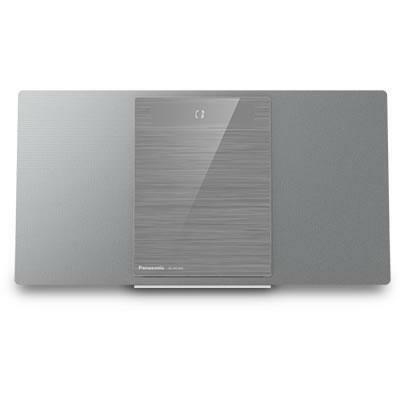 The slender and clear line design of this Hi-Fi system makes it wall mountable for a room filling sound effect. Enjoy your music from numerous sources as well as excellent sound. The compact and slender case is home to the latest sound technology. The digital amplifier (3rd-generation LincsD-Amp) represents the centerpiece which delivers a clear and dynamic sound without distortions. Long and twisted sound channels (twisted acoustic port) also allow a clear and rich bass. The flat design created a particularly elegant look. The system can easily be integrated into every interior design, regardless of its style, serving as a real eye-catcher mounted on the wall and it is perfect for smaller rooms due to its compact design.